UKIP is not a libertarian party. It is not a free market party. It is not the UK equivalent of ACT. It is a populist party with some good policies, and an outspoken leader who, sometimes, is rather good. So if you vote for a UKIP candidates, judge the individual on their merits, because the manifesto is a very mixed bag. For me, in a first past the post system, a minor party better be pretty good, a decent alternative to deserve my vote. After all, in most seats it has no hope of winning, so you might vote for it there as a statement of moral principle in support. In those where it has a hope, it is more serious. Is it better than the incumbent major party candidate? So how does UKIP stack up? Yes it wants lower taxes (although it wants a diverted profit tax too), yes it wants to leave the EU, but wants to keep agricultural subsidies. Yes it wants to cut foreign aid, scrap the Scottish subsidy (the Barnett Formula), the HS2 vanity project, merge government departments, end fake charities, limit child benefit to two children, deregulate childcare, tighten up access to social housing, repeal the Climate Change Act and withdraw from the EU Emissions Trading Scheme. It's not so much the contradictions of liberalising the smoking ban for pubs and restaurants, but wanting to ban smoking in parks and introduce a sugar tax. It isn't the tightening of protection of Green Belts and a new planning presumption in favour of conservation. It isn't the desire to just pour more money into the NHS and ban foreign companies from tendering to supply services. It isn't the creation of a sovereign wealth fund from taxes on energy extraction to pay for social care for the elderly. It isn't the higher tax on empty homes, the abolition of tertiary fees for those studying science, medicine and engineering. It's not even the substance of the policy on immigration, which is to have what is called an "Australian style points system" for all migrants. It is the deeper, more insidious focus of UKIP rhetoric which is to consider that for most problems in the UK, immigration is a core contributor. The problems of EU membership, in terms of regulatory hindrance and waste are obvious, and to its credit, UKIP talks about withdrawing from the EU not to engage in little Britain isolationism, but to promote more free trade with the rest of the world. Good. Whilst, on the face of it, there is quite a bit to like, let's not pretend what is at the centre of UKIP's support base - opposition to immigration. Blame for many of the UK's so-called ills is laid at immigration from Eastern Europe. Not immigration of Islamists (for which I have some sympathy in terms of national security), but of people whose families spent at least two generations previously under totalitarian communism. Moreover, the more disturbing, economic nonsense, is that immigration lowered wages which is bad for the economy. With the exception of the arrival of some criminal gangs, all of the problems attributed to immigration are problems of statist solutions to allocating resources, not immigration. The NHS problem is because it is free to anyone who turns up. The housing problem is because Councils have a legal obligation to house whoever turns up, and Councils severely limit permissions for building housing. Roads are congested because they are poorly priced and state funding of new road capacity was severely constrained for political reasons for many years. There is a lack of school places because funding for schools does not follow pupils and parents, and so on. Yes, there is a real issue about a country with a welfare state, with free health, education and housing offered to those who are poor, with open borders to countries which are much poorer per capita. Yes, there are genuine issues about serious criminals, and gangs of criminals coming to the UK with no way of intercepting them. However, UKIP has tapped into something darker, It's the envy dripping xenophobia of part of the British working class who don't like these new people, with their funny ways, showing us up, working longer hours, for less money than they'll take, raising families, with aspiration. That is exactly what UKIP is tapping into, as much as many of its well meaning folk deny it. It made a colleague of mine at work, who is Romanian, and far from unskilled, feel unwelcome and uncomfortable. Not a gang of men, as he previously said, not squatting Roma, but a "group of Romanian people". Really? Even if I give Farage the benefit of the doubt, in not carefully using words, it's the expression of xenophobia that IS unreasonable, and unfair. It is this the far left have taken and run with, to claim UKIP is racist, wants to deport foreigners and hysteria. All of which is deplorable nonsense and smears. Yet the mere fact that the far left can play this card is because UKIP has created the space for it. It offers absolutely no solutions to health, education, housing or transport issues that are meaningful, it wants to sustain or even worsen the status quo. Yes, its policies on energy and climate change are laudable, and withdrawing from the EU is commendable, but playing a tune on the back of the xenophobia of many is just plain irrational and wrong. There is another dimension, which is the EU blaming when it is not only wrong, but actually gives succour to tyranny. For some time, UKIP has blamed the EU for the events in Ukraine, claiming the EU orchestrated the popular revolt against the Putinesque thug Yanukovych, and that somehow Putin should be admired. Seriously? Whilst there was definitely a Western wooing of pro-Western politicians in Ukraine, including the EU, how was this evil? Was it wrong to encourage Ukraine to ditch the 20 years of bankrupt kleptocratic autocracy that meant its per capita income has stagnated? Yes, Ukrainian nationalists are awful, yes the Russian minority does have genuine fears, but to damn the EU more than Putin? Seriously? As bad as the EU is, it isn't executing its opponents, and we are a long way away from Russia - just ask the former satellite states of the USSR. So what about the other minor parties? What do the Conservatives offer? Rebuttal of the Labour narrative? In fact, Labour's accusations that the Conservatives will "privatise" and "destroy" the NHS (with implications of the doomed "American style health system") are total fabrications. Labour also claims the Conservatives will cut public spending to the level of the 1930s, which is also a fabrication. Yes, there will be cuts, but the level of public spending as a proportion of GDP will drop to levels seen around 2000-2001 under Tony Blair, and still higher than both Australia and Switzerland. Labour implies that the sick and poor will all suffer, and its class war narrative reinforces that, regardless of how much of a fictional piece of agitprop it all is. The Tory narrative is "we've fixed the economy, there are two million more jobs, we fixed the mess Labour left us, we've cut the deficit, we're on the path to prosperity". That is all very well, but is there a serious attack of the core Marxist narrative of Labour? The Conservatives plead, rightly, that they cut the taxes of the lowest paid, by raising the threshold where income tax gets paid, to over £10,000. However, they don't defend cutting the top rate of tax from 50% to 45%. They find it difficult to defend raising the threshold at which inheritance tax cuts in to £1 million. They talk about the money they have poured into the NHS, but never rebut the narrative that the way to get better healthcare is simply to put more money into an enormous bureaucracy full of producer capture, because who can say nurses and doctors are paid too much, or are not experts on how to procure supplies for enormous enterprises very wisely? The Conservatives play the "tax avoidance", "tax evasion" narrative as well, but don't say it is good for people to keep their own money often enough, although to his credit David Cameron has said this occasionally. The problem is the Conservatives have raised other taxes, like Air Passenger Duty and have never addressed the biggest problem of the tax system - its complexity. What about business? No, the Conservatives have not argued that big business is good for Britain, and that the best way to deliver better goods and services for consumers at reasonable prices is to lower barriers to competition. There is little talk about enterprise, entrepreneurship and how more people ought to set up their own businesses, and grow the economy and jobs through the private sector. Yes there are votes in that, obviously, but when HSBC is looking to leave the UK, who is going to say this is bad? What about welfare? Yes, the Conservatives are seen as being tough on welfare, but the only real gap identified by the IFS is that there are to be £12 billion in welfare cuts, but no one from the party will say where these will come from. So instead of saying that we shouldn't be borrowing to sustain people on welfare, the main narrative is that the Conservatives "hate the poor". The number one weakness the Conservatives have is that the "class war" narrative, which has been waged not so much by Labour until recently, but certainly spread amongst its foot soldiers in unions, the public sector and crucially, the education system, has taken hold. The Conservatives are said to be the party of the "well off" and look after their interests, but Labour is the party of everyone else, and looks after them. Not the party of individual enterprise, effort, responsibility, opportunity and freedom versus the party of large government, ever growing welfare, subsidising irresponsibility and failure, more regulation and identity politics stereotypes. It's a view expressly commonly by young people, no doubt having been taught this by their Labour aligned teachers. Beyond a few tax cuts, the Conservatives are mostly offering "we're not Labour", and most recently given the high polling of the Scottish National Party (meaning Labour will most likely need SNP support to get a governing majority), which is more leftwing, the narrative is "you don't want to be ruled by a government held to ransom by those who want to break up the UK, and want to vote on English laws". When I first envisaged this blog post, the UK election campaign looked like a lot of "me too" ism, which moved away from the early rhetoric of Labour Leader Ed Miliband, to a middle muddle ground of mediocrity, where both major parties campaign on different versions of the same policies. Although in substance both main parties are not too far apart on most policies, the truth is there is a yawning gap, and it is one based upon not simply political philosophy, but the very notion of having a political philosophy and set of principles upon which to base policies. In that sense, the Labour Party has got both. The Conservative Party, has almost neither. It's relatively easy to look at the policies of both major parties and see that the gaps between them are not significant. Although they may joust over the economy (the Conservative claim of success) and the NHS (Labour's claim of disaster), the truth is there is little between them on both issues. The Institute For Fiscal Studies said as much in its review of their fiscal plans. The Conservatives would cut spending more than Labour and run an actual budget surplus, although there is no clarity about proposed cuts in welfare spending. Labour would run a current (i.e. not capital) budget surplus, "as soon as possible", but is also unclear how it would make up the gap (it's claims of "savings", and revenue from new taxes and the perennial "crackdown on tax avoidance" are pitiful). On the NHS (note no one talks about health policy, but rather how much to spend on the world's biggest civilian bureaucracy), it's about "we'll spend £8 billion more" or "we'll spend £2.5 billion more per annum", both basically wanting to throw more money into the same system. No debate, at all, about whether it is fit for purpose or whether there are better ways to deliver healthcare. Beyond that, there is a lot of noise about tax. Both parties claim they will crackdown on tax evasion and avoidance, both parties claim they will get more money from the rich (who despite the top 1% paying 27% of income tax apparently should be fleeced more, in different ways). Both have announced either direct or indirect measures to do this, Labour by increasing income tax on those earning more than £150,000 and by a wealth tax on homes worth over £2m, the Conservatives by cutting tax relief on pension contributions. The illness is real but all that is on offer is snake oil; displacement activities treating some symptoms but not the underlying causes and – paradoxically – having the net effect of making the crisis worse. 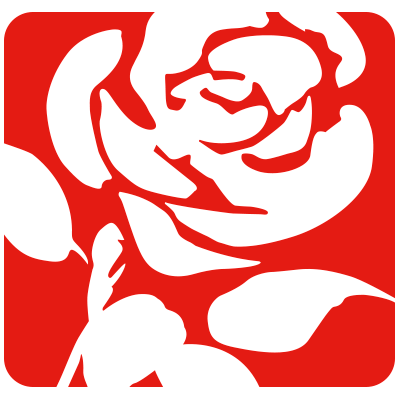 Perhaps that is just a little harsh on Labour but I did just hear their spokesperson offering the party’s solutions and the whole emphasis was on how the ‘market was not working so the planning system needed to be tougher’. Not so: the problem IS the planning system. It needs root and branch reform but that would take serious political courage. The combined impacts of the Town and Country Planning Act, the power-hungry dedication of local authority planners and the banking of vast tracts of urban land as "green belts" is the problem, but no party will address any of these meaningfully. Labour does want to introduce rent-regulation, whereas the Conservatives want to nationalise the social-housing held by privately owned Housing Associations so their tenants have a taxpayer subsidised "right to buy" them. Neither is exactly a market oriented solution. What about other policies? Education? Well, here there is more of a difference. The Conservatives have been pushing their somewhat successful "free schools" programme, which allows anyone to set up new schools, which is roundly opposed by Labour and the teaching unions, and so Labour has promised to stop new ones being developed and to wage war on "unqualified" (read "non-unionised and not indoctrinated into state progressive teaching ideology") teachers. Meanwhile, Labour wants to cut tuition fees, even though they don't have to be paid until a university student earns above the average wage. How about the environment? Who cares, thankfully (pledges on that have largely gone unnoticed). I could easily go through a bunch of policies. Labour's pledge to regulate energy prices, the Conservative pledge to freeze rail fares, both party's support for renewing the Trident nuclear weapons' system, but they aren't really the point. On immigration, both want to "crack down" on immigration, except of course from the EU. Yet what is actually going on between the two main parties is more fundamental. Both embrace solutions to problems that are interventionist, that are sceptical about free markets. The difference is that the Labour Party, and the Labour leader in particular - Ed Miliband - is back to its roots of Marxist rhetoric, narrative about the relationships between business and labour, and more explicitly a class based analysis of what is wrong with the UK (with some identity politics thrown in). As Aussies and Kiwis focus on ANZAC Day at present, it tends to overshadow an event, conventionally thought to have started today, a century ago, that is not as widely known as it should have been, not least because the land upon which it happened is, by and large, in complete denial of it. The Governments of Australia and New Zealand, maintain this, presumably for convenience of trade with Turkey. That fact is an utter disgrace, and I give a rare credit to the Green Party for seeking to change this. The Ottoman Empire was in trouble, the Great War, as it was then, was not going its way, and the Empire thought it had found one of the chief reasons, its scapegoat was the Armenians living in what is now Turkey, primarily because it saw Armenians as allied to Russia (which had often sided against discrimination and persecution of Armenians over previous centuries). There had been a history of periodic oppression of Armenians under Ottoman rule, as Armenians periodically rebelled against the inequality of treatment of the Ottoman state. However, the catalyst for the events of a century ago came from the defeats of the Ottoman Empire in eastern Europe. Hundreds of thousands of Muslims fled from the Balkans to live in what is now Turkey, in what were predominantly Armenian areas. These impoverished Muslims (who left many killed from war) were disenchanted by the relative comfort of the Armenian population, so a twin legacy of economic envy and "fifth column" fears emerged. As Ottoman Muslims found it difficult to encourage Ottoman Armenians to turn against Armenians in Russia (which it was at war with), and there was genuine fear that Armenians would turn to fight with the Russians. Armenian conscripts in the Ottoman army were demobilised, out of fear that they would switch sides. Their weapons were removed, and so it began. Jevdet Bey, Governor of the Vilayet of Van, ordered 4000 Armenians to "volunteer" to defend the area from Russian attack, but the Armenians feared he would repeat his actions in villages of massacring Armenian men. So they formed a self defence force, to protect a single square kilometre of the town of Algestan successfully. On the night of the 23rd of April, the Ottoman Government rounded up 250 intellectuals and Armenian community leaders in Constantinople, and were moved to holding centres in Ankara, from where they were subsequently deported or executed. In May, one of the triumvirate who ruled the Empire, Mehmed Talaat Pasha, ordered the deportation of Armenians. Subsequently, Armenian property was confiscated, and hundreds of thousands of Armenians were forced at gunpoint, to leave their homes and businesses, and the towns and cities where they lived. Many were sent to march to Deir ez-Zor, in what is now Syria, crossing desert to get there. Many starved or dehydrated in the process. Some were shipped by rail, in a manner reminiscent to what the Nazis would replicate across Europe 25 years later. It was not just men of military age, but all men, women and children. The soldiers had full carte-blanche to do as they saw fit, so in Damascus some would display women naked and sell them as chattels. 25 concentration camps had been set up to take the Armenians, where they were provided with woefully little rations in the way of food and virtually no medical attention. There are reports of villages being razed, with the inhabitants burned to death, Estimates of the numbers killed range from the high hundreds of thousands to 1.5 million. Raymond Ibrahim in The Commentator writes of the atrocities committed, saying they are not unsimilar to the actions of ISIS today, on some of the same territory. Turkey today denies that there was genocide, merely that Armenia collaborators with Russia were killed in war, and that the deportation wasn't forced killing, but that there was merely some starvation. This continued obfuscation may reflect intense nationalistic pride, but it doesn't reflect evidence. It is clear that, for a combination of historic bigotry and genuine military concern over allegiance, that the Ottoman's decided to remove Armenians from their country, not just without compensation, but in a manner than ensured many would die. The continued denial by Turkey should shame its government, as it feeds into bigotry by some Turks against Armenians. What's a further disgrace is that Barack Obama, even after campaigning about recognising the Armenian genocide, refuses to call it that as President. The continued obfuscation of the US President (if not Congress), and the governments of many countries, including Australia, New Zealand, and a more nuanced (gutless) position from the UK, and of course (just to show the humanity of Islam and its opposition to Muslim led slaughter of non-Muslims) the only Muslim majority countries to recognise it are Lebanon and Syria. Some Armenians think that the commemoration of the events at Gallipoli are intended to take attention away from what happened to their ancestors. I don't believe this is at all true for almost everyone who is involved in them, but it is important that we remember and note what happened. Today, the country of Armenia is a small fraction of the territory that was Armenian dominated, and essentially represents the territory Russia won from the Ottoman Empire, minus that which it administratively carved up into other Soviet Socialist Republics. Notably, a large Armenian enclave remains in Azerbaijan, where a sectarian conflict has periodically raged since independence of both countries. The genocide of Armenians helped inspire the Holocaust. It has also helped inspire Islamic State. It is only right that today, we spend a moment to learn and remember what was done, because of their nationality and religion, to hundreds of thousands of innocent people. It isn't about "shaming" Turkey. It is about not forgetting when states wage the worst act any of them can do - to torture and slaughter there own people, for the crime of simply existing. That's the line being taken by the UK media, of course every election is presented as a "once in a lifetime" chance, when it rarely ever is. What is deemed exciting is that the polls for the past few years have indicated that neither major party is likely to win a majority of seats. There are two reasons for that. Firstly, boundary changes that were recommended by the Electoral Commission, but which perversely need Parliamentary approval to be implemented, have not been. This is largely because the current boundaries tend to favour Labour and the Liberal Democrats, because both parties have constituencies that have proportionally fewer voters than the ones currently held by the Conservatives. So some MPs represent fewer voters, meaning their votes count proportionally more than those in others. The Liberal Democrats refused to support the boundary changes in coalition, so for the Conservatives to win a majority of seats, the party needs, on average a 4-5% higher share of the overall vote than Labour, which would (notwithstanding the next point) have more seats than the Conservatives, even if the Conservatives had a higher proportion of the vote. Remember, this is still the vagaries of First Past the Post (and voters rejected a mild form of electoral reform in a 2011 referendum). Secondly, minor parties are making a significant impact, in varying ways. Not the Liberal Democrats, who expect to get hit because a fair proportion of its voters didn't agree with it backing the Conservatives and may feel lucky to win half the current lot of seats. UKIP is taking support from the Conservatives in the south, but also Labour in the north (it is polling a strong second in many traditional "safe" Labour seats, primarily because of immigration-phobia, but also perceptions that Labour is a party of the so-called "metropolitan elite". It will be pleased to get at least 3 seats. The Greens are having a small impact too, mainly taking some Liberal Democrat voters (as the Liberal Democrats were the green evangelists of the past) and Labour ones, although the Green run Brighton Council's disasters and the shockingly poor performance of Australian born (yes I don't know why Australian Greens migrate to pollute the planet with their ideas) leader Natalie Bennett. It will be surprising if it wins more than the one it has at present. Yet none of those parties is having the impact of one that has a much smaller percentage of the UK wide vote, but which could win more seats than the Liberal Democrats, UKIP and the Greens combined. It is the Scottish National Party. Fresh from losing the independence referendum, it has rallied the 45% support that the independence idea gained into direct electoral support. It is eviscerating both Labour and the Liberal Democrats in Scotland, and is looking like winning most seats there. By wiping 30-40 seats from Labour's tally of "safe seats", it looks highly unlikely that Labour could win a majority. So, the most likely outcomes of the election are for the largest party to try to cobble together a coalition or series of confidence and supply agreements, with one, two or even more parties, and to fail and find the second largest tries the same. From a psephological point of view it is interesting. The Conservatives could pair with the Liberal Democrats again, and possibly UKIP, and the Democratic Unionist Party (DUP) of Northern Ireland might back the Conservatives, perhaps the Alliance Party could too. However, the Greens, SNP, Plaid Cymru and the SDLP (from Northern Ireland) have all indicated they would "block" a Conservative government, and so might back Labour. The Liberal Democrats have said the largest party in Parliament is the one it would most likely work with, but UKIP is highly unlikely to go with Labour. The DUP hasn't ruled out supporting Labour as long as Northern Ireland got its pound of pork. Meanwhile, Sinn Fein wont take up its seats, although there have been rumours of Labour-Sinn Fein discussions. So from a pure who does what with whom equation, it's interesting. My suspicion is that there will be another election later this year. However, in terms of the variety of what is on offer, it is more nomenclature than substance, as I will write about shortly. Whether he stays or goes should be irrelevant, because incisive political interviewing on New Zealand television is, at best, as scarce as a Macaya Breast Spot Frog. So for my kiwi friends, I thought I'd show you what exactly you are missing out on. Bear in mind that while the UK is not devoid of decent political interviewing, it isn't common here, and the best of the current lot - Andrew Neil - has been prohibited, by the Conservative and Labour Parties, from interviewing the Prime Minister and the Leader of the Opposition. Why? Because he asks straight questions, seeks sources, has research done to find contradictions between statements of others from the same party, stops politicians taking over interviews and refuses to let evasive answers be tolerated. Exhibit 1: At 4:09 watch Green Party Leader Natalie Bennett get grilled on the parties far left spending spree lunacy and economic illiteracy, and belief that belonging to ISIS and Al Qaeda shouldn't be a crime in itself. Exhibit 2: At 4:00, watch Labour Deputy Leader Harriet Harman tie herself up in her own party's policy contradictions, helped along by a proper interview. Exhibit 4: From the start, Scottish National Party Deputy Leader quizzed over its policy of unilateral nuclear disarmament. Exhibit 5: From 1:55 Chief Secretary to the Treasury, Liberal Democrat MP Danny Alexander, on the failures of increasing capital gains tax to raise additional revenue, including near the end, the Liberal Democrats not having paid the bill for policing at its previous conference. Exhibit 6: From 1:04, Transport Secretary, Conservative MP Patrick McLoughlin, confronted about security at railway stations, environmental approach to transport.